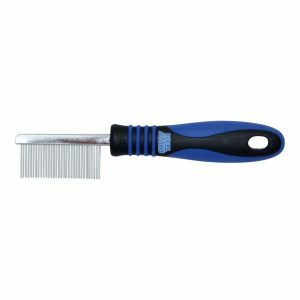 We stock an excellent range of brushes and combs to suit all types of coat. Makes include original Greyhound, Premo, Spratts and Show Tech. 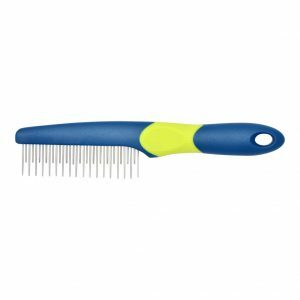 The Premo Moulting comb has a cushion grip handle for comfort. It has alternate short and long rotating teeth, which help to remove loose and dead hair from the coat. 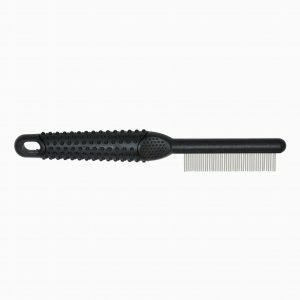 The Premo Straight comb has a wide comfortable top grip. It has rotating teeth to help remove loose and dead hair from the coat. The Rosewood Fine Tooth comb has an easy grip black handle. It has rotating teeth, which help to remove loose and dead hair, as well as helping to untangle the coat. 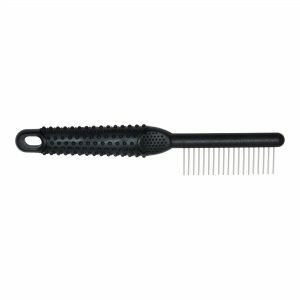 The Rosewood Coarse Tooth comb has an easy grip black handle. It has rotating teeth, which help to remove loose and dead hair, as well as helping to untangle the coat. 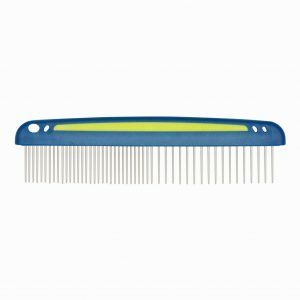 The Show Tech Face fine tooth comb is ideal for grooming around the face and head area. 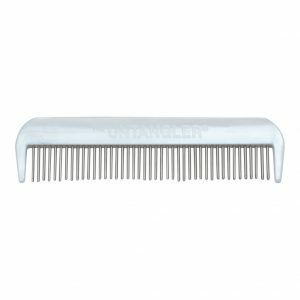 The original Untangler Comb has rotating teeth to draw out loose and dead hair from the coat.